McCauley Dental is a local dentist office that has a lot to offer. It can be hard to know which offices are corporate locations and which are local dentists. But, what is the difference? Is one better than the other? And how will it affect you as a patient? These are all common questions that need answers. You can read more about the difference between a local and corporate dentist here. 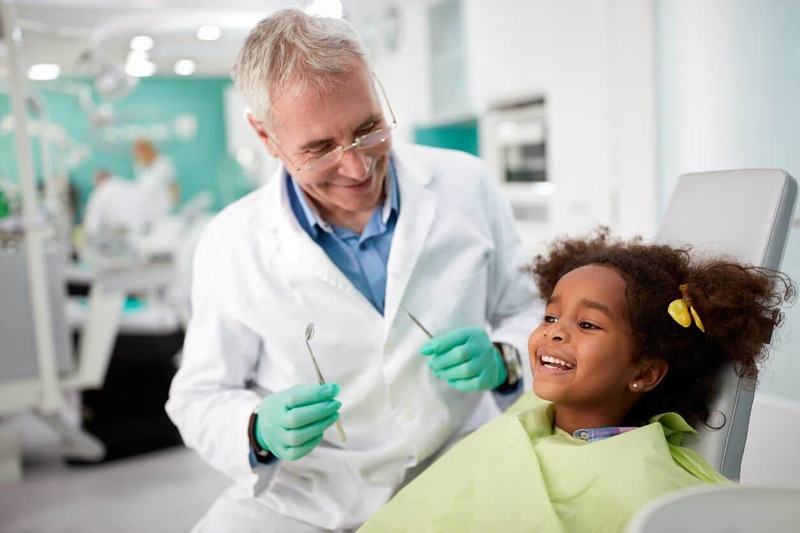 Seeing a local dentist means that you will receive better care. They will know you and your case better than a corporate dentist. You will always see the same dentist, so they will know what you need and how your last visit went. This can be very helpful when a dentist is trying to assess treatments. Because you are seeing a dentist you have seen before and are familiar with, you will be more relaxed. They are able to focus more on your care because you aren’t just a number or case. That is something that makes you feel good about the care you are receiving and the dentists giving it. When you are seeing a dentist and plan on keeping them long-term, that is very important. You want someone who is going to treat you like a human with feelings and not a number. Because local dentists tend to service smaller areas, it is easier to be seen. Corporate dentists tend to have a larger radius of patients, which can make it harder to get an appointment. Local dentists also have more flexible schedules. There is also a better response time to dental emergencies since they tend to live closer to their offices. This can come in handy when something goes wrong. You never know when you will lose a tooth or need one pulled, but it would be nice to have a dentist you trust. Because there is no guarantee when this will happen, having a local dentist can be beneficial. In some cases, it is essential. Emergencies aside, it is nice to know that you will be able to get an appointment sooner than a month. Local dentists care more about their patients because they don’t have to rush through them to make quotas. They have the ability to focus on the person in the seat and not the money in their account. This means that they can focus on the problems their patients face and find solutions that best suit them, not creating problems to generate more profits. It also means a lot to the patient to feel cared for and more than a number. This is something that corporate dentists cannot offer. Most local dentists care more about their communities than money, which is why they chose to be a local dentist and not a corporate one. You are not only supporting a local business, you are supporting the community as a whole. Local dentistry is a great way to keep money in your community and make sure that it goes to a person and not a corporation. Because local dentists are more concerned with patients and not money, it is easier to feel like you can trust them. They do not have an ulterior motive that will end up costing you more in the long run. There is a level of trust that patients feel with local dentists that they don’t find with corporate dentists. There is also the feeling that you are seeing someone who cares about the community and loves their job. They are not in dentistry for money, but to help people. And that is a good feeling when you think that you are a part of that. It feels like you are giving back to the community by helping someone who is helping the community. McCauley Dental is your local Delray Beach dentistry office that offers all of these benefits and so many more. We have experience in varying cases, so you are sure to get expert advice. You don’t want to waste time with someone who doesn’t care about you or just knows what’s in your file. This can leave a lot of room for error and leave you feeling like you don’t matter. In a lot of cases, these places will also cost more in the long run from having to redo work. That is because they know they can charge it. If you don’t want the work done, they will fill the appointment with someone who will pay it. Your bill would be lower and you would get better service in the long run with a local dentist. Not only are you getting better service, but a lower cost overall. And you can’t beat that! You can read more about your local dentist here.